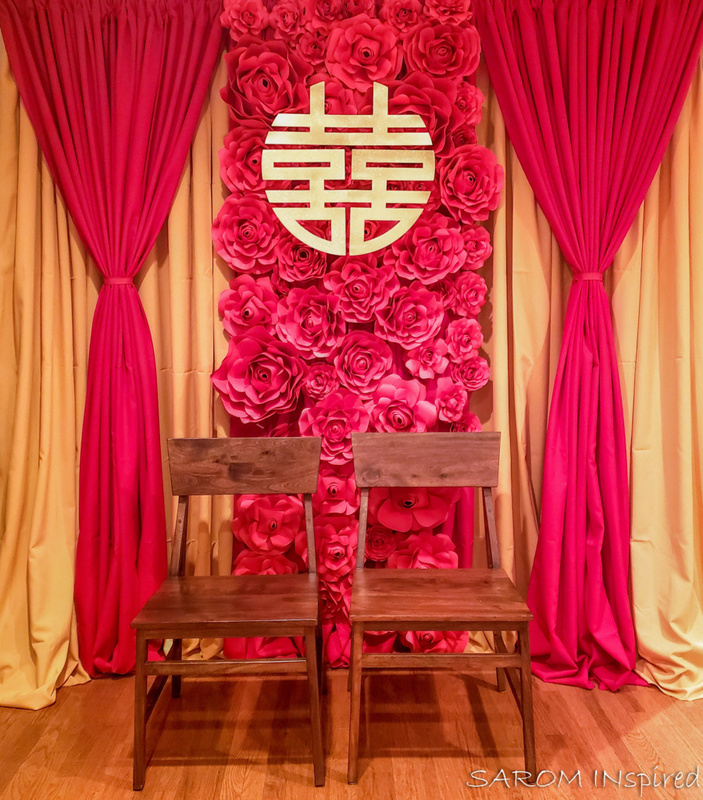 I got the chance to create a backdrop for a traditional Chinese Tea Ceremony wedding! This was my first time making giant rose paper flowers and it took 30 mins to create each flower because each had 34 petals. I went into craft-making mode the week before the wedding and emerge with this! Double Happiness laser cut sign by aalvo creative!